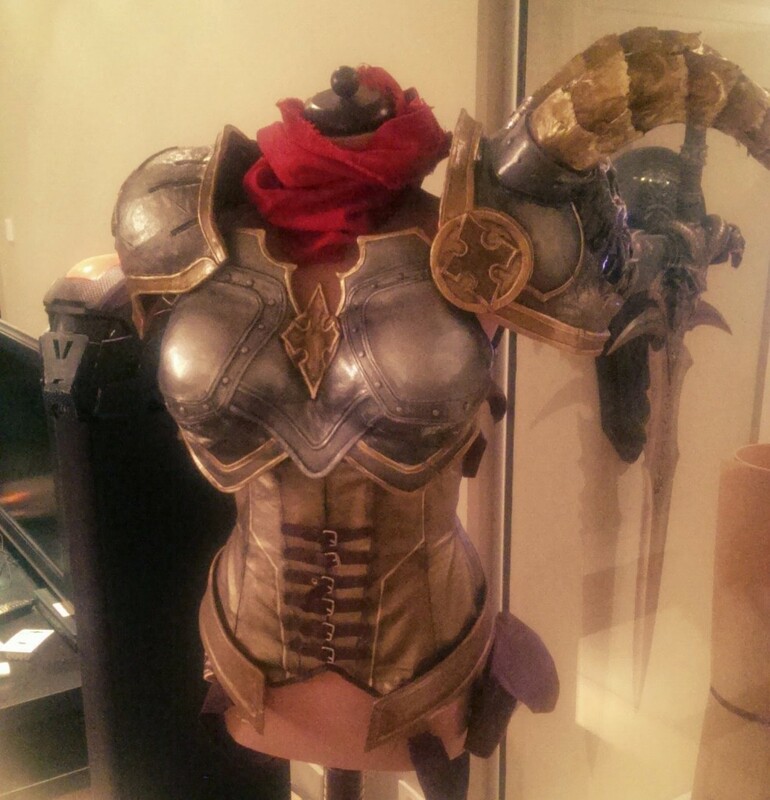 This have to be the most iconic piece of this armor and I wanted to make sure the looked badass – The pauldrons. 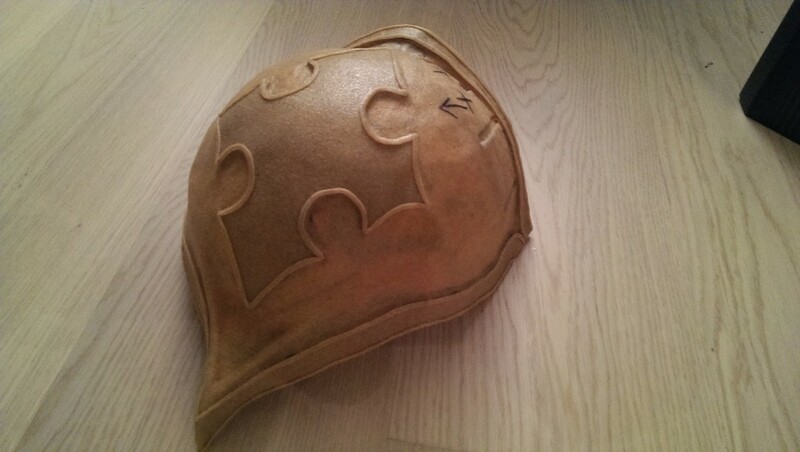 Again I would use worbla, but I wanted to see if I could make the base out of cardboard and then cover it up with worbla and details afterwards. 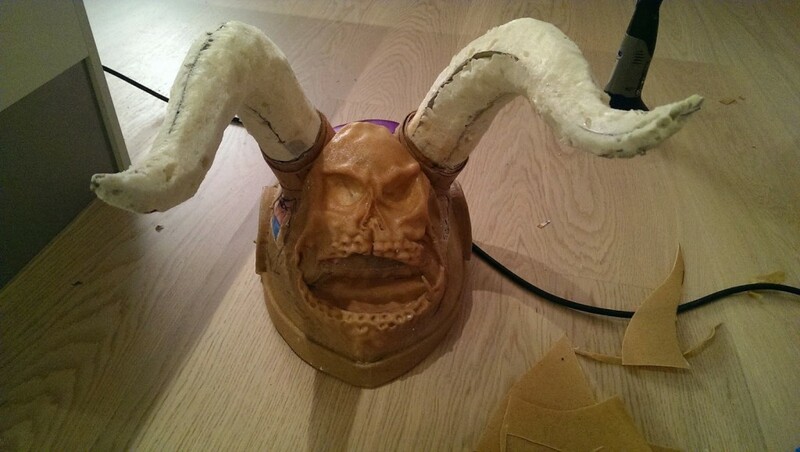 Also on the larger pauldron I needed to make horns and a mean skull face. 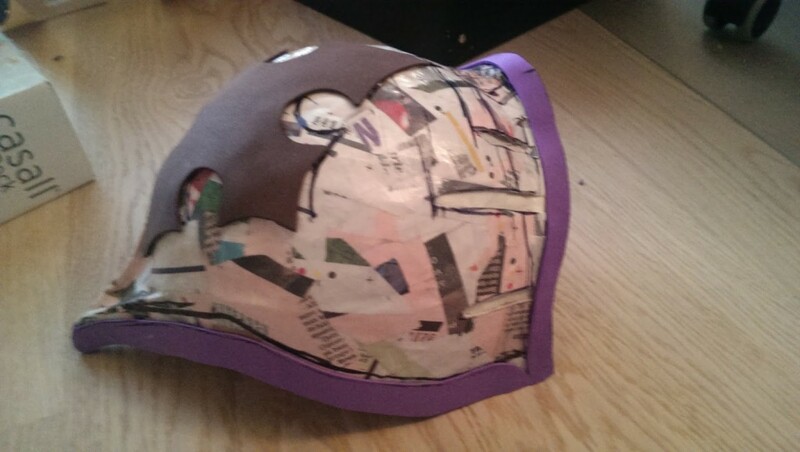 All this without making the shoulders too heavy (as mentioned before, I’m weak and don’t want to carry more than I need). 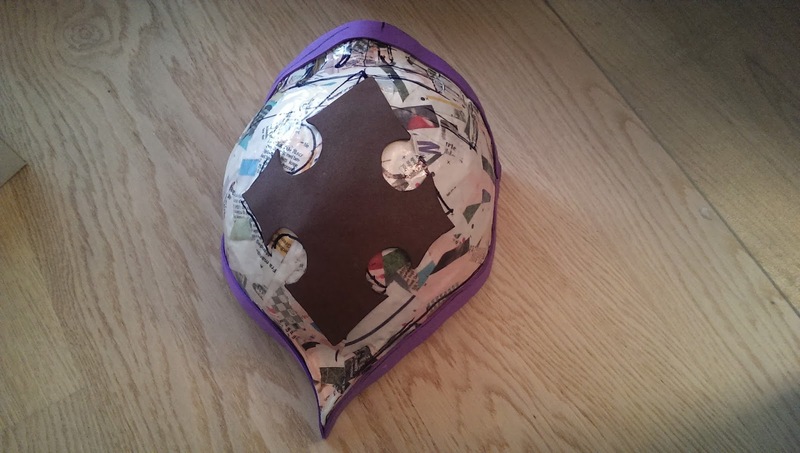 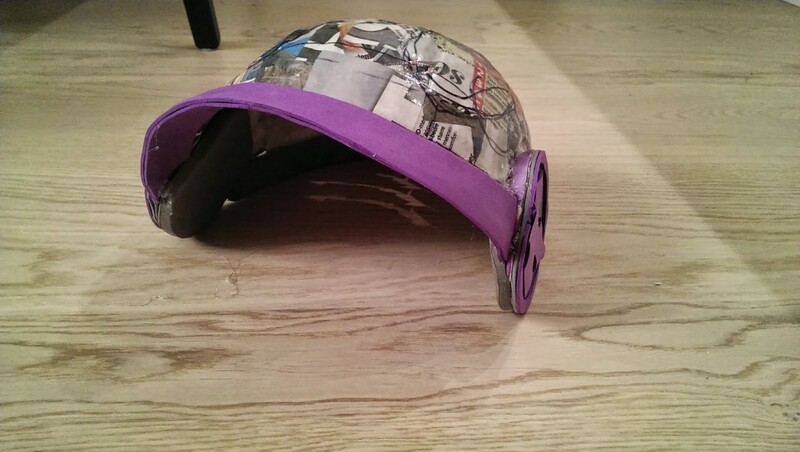 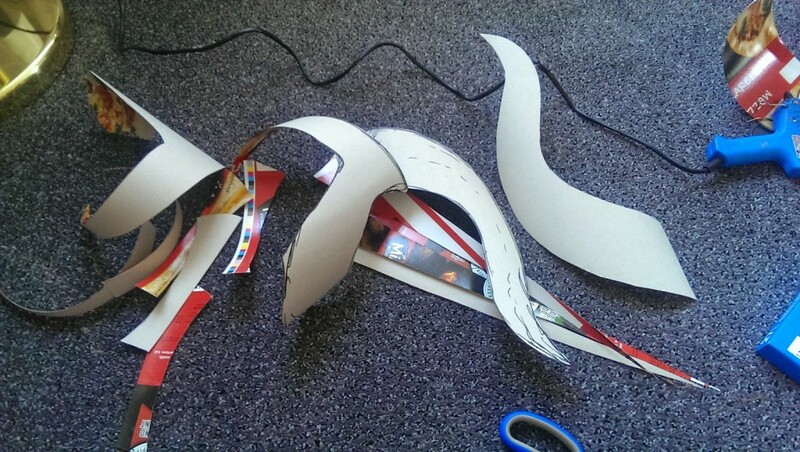 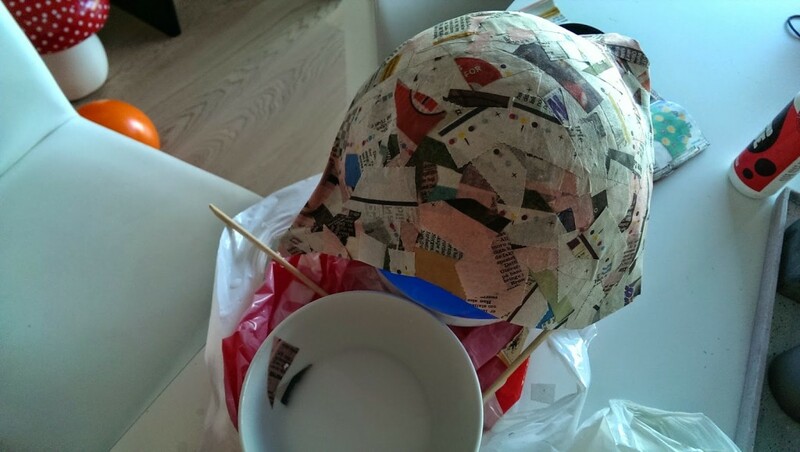 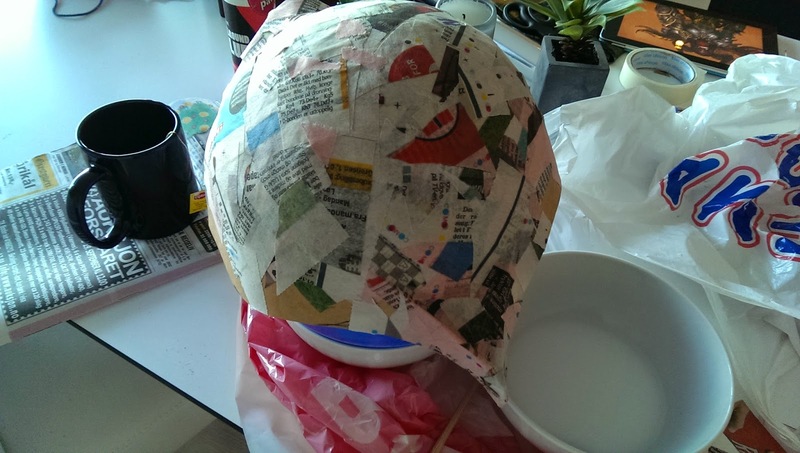 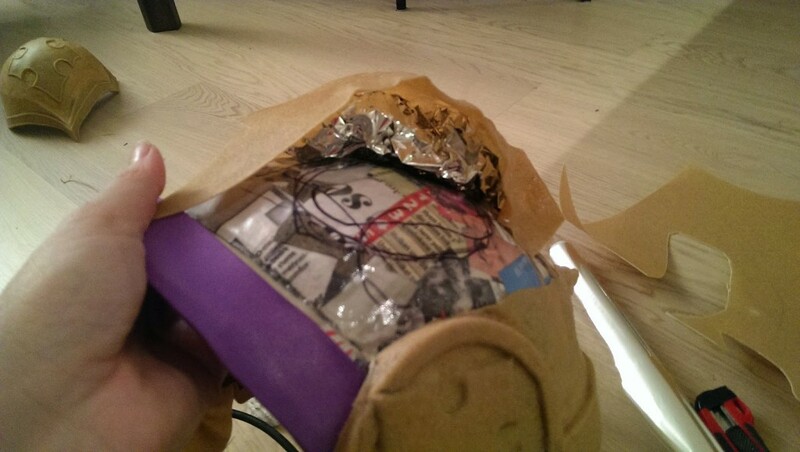 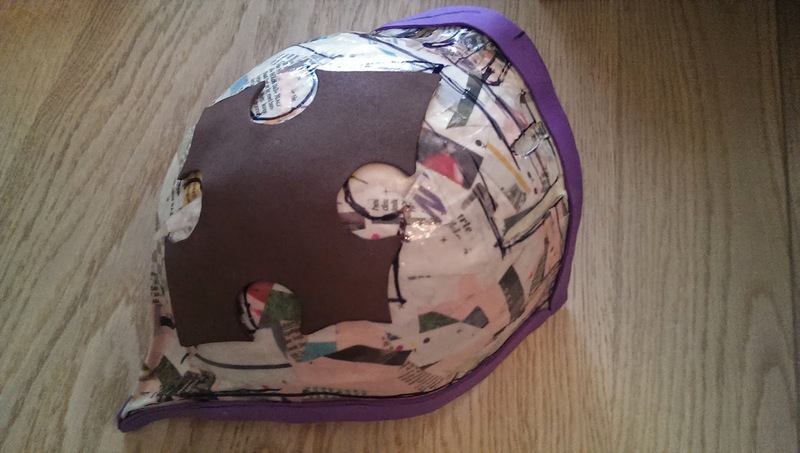 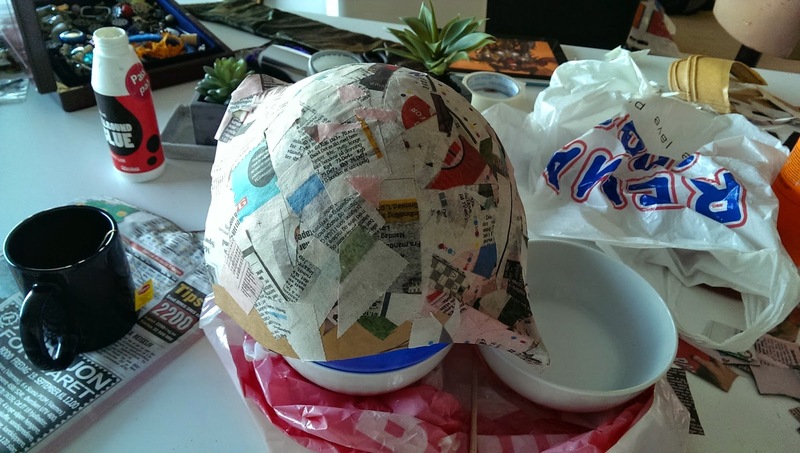 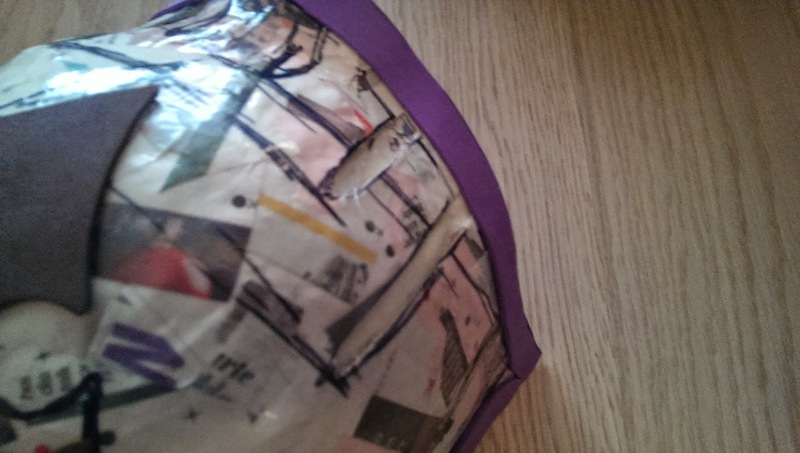 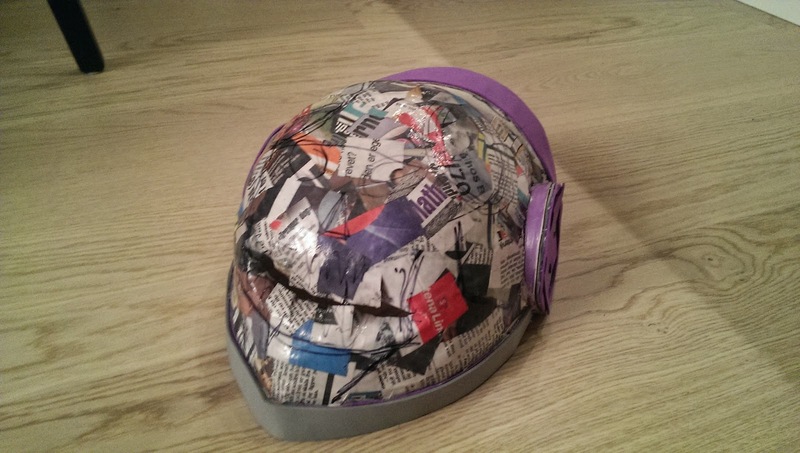 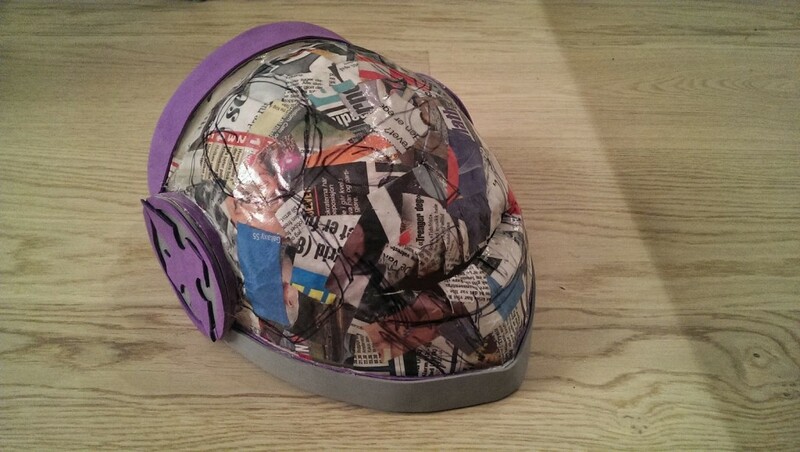 I covered a balloon with paper mache and added details with cardboard. 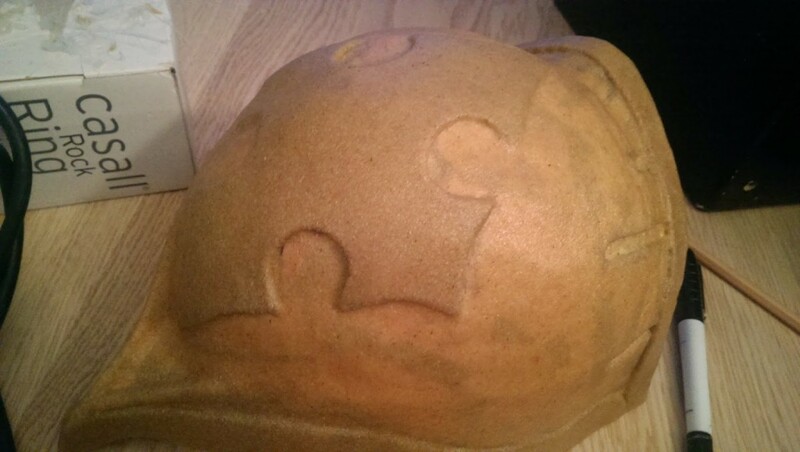 When it had dried I added details in foam. 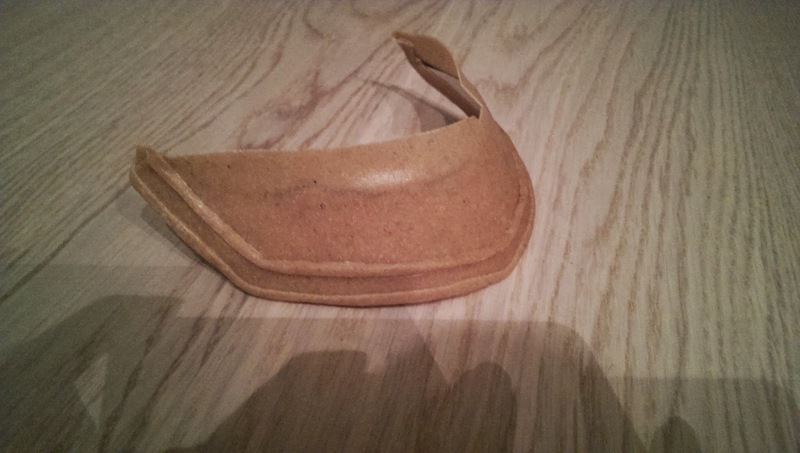 Tha pauldron has several indents, created by just cutting away some of the cardboard. 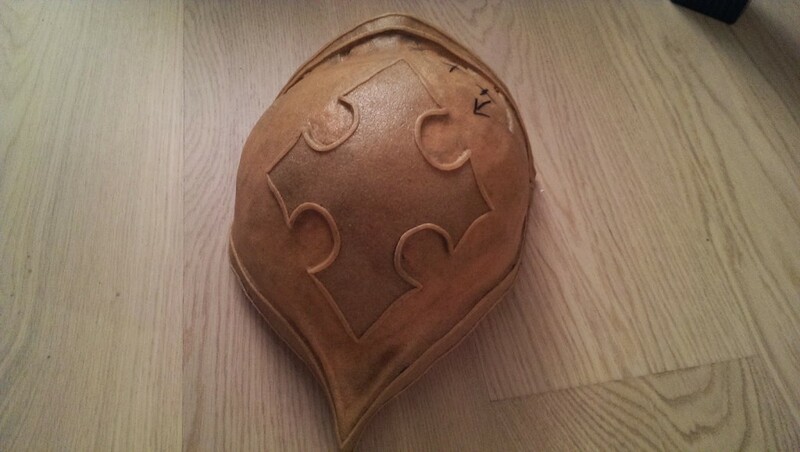 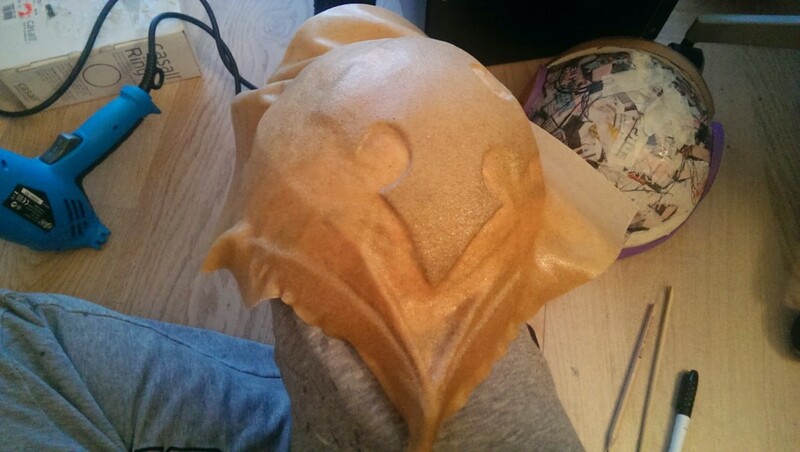 When done I covered it up with worbla, bringing out the foam details as I go along. 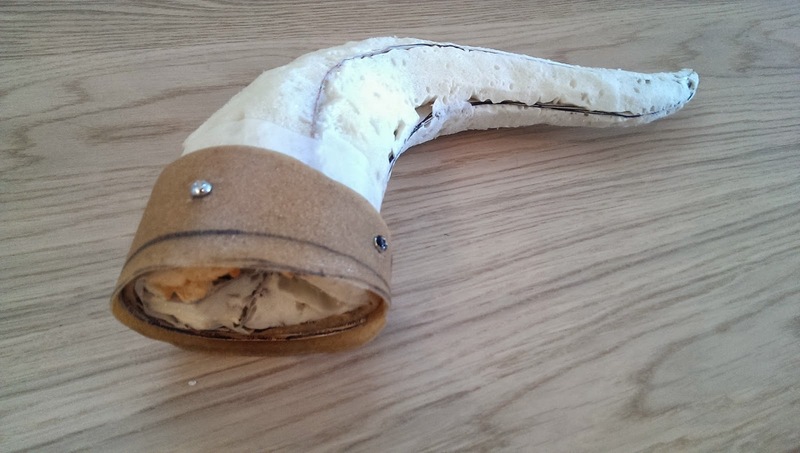 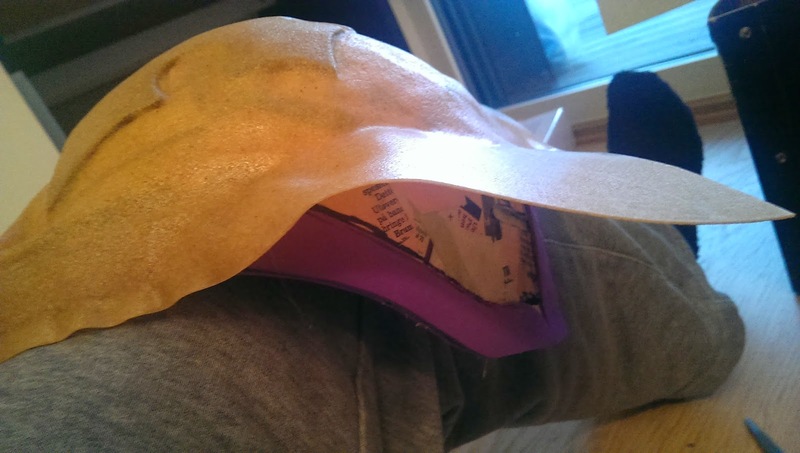 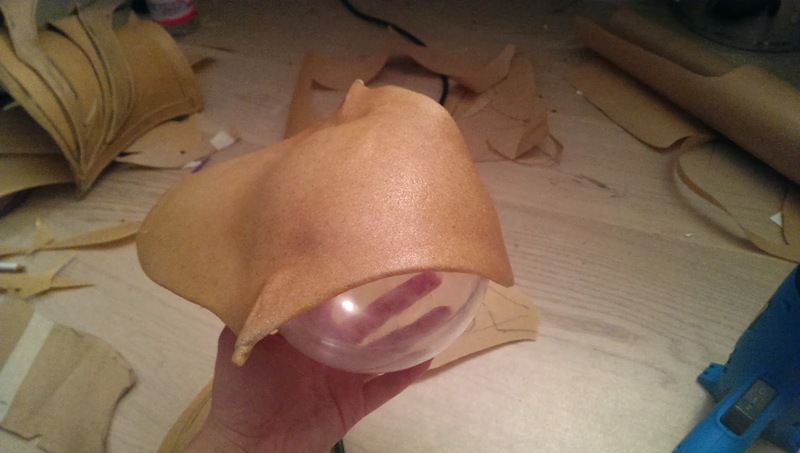 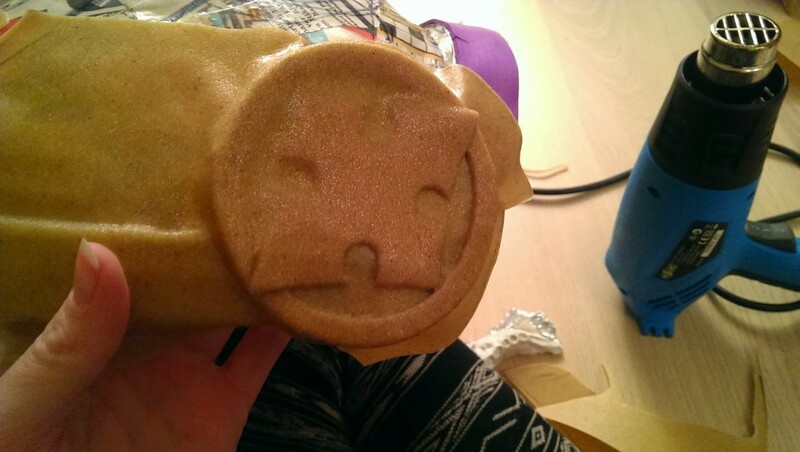 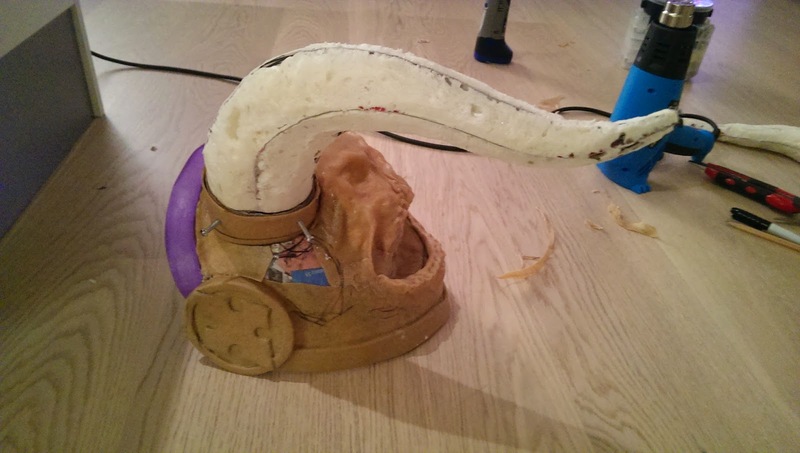 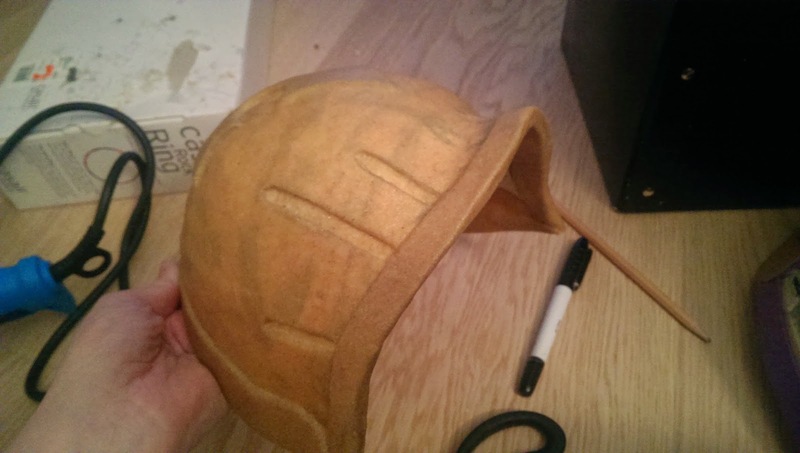 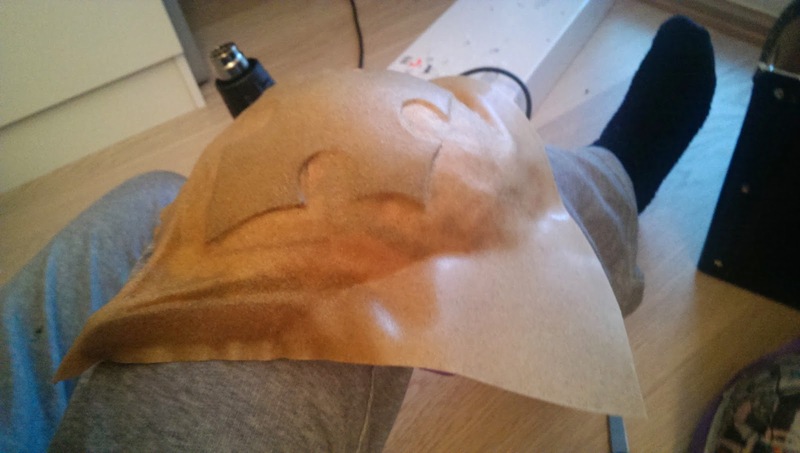 I used a small wooden stick to press down the worbla (e.g. a pencil or chopstick. 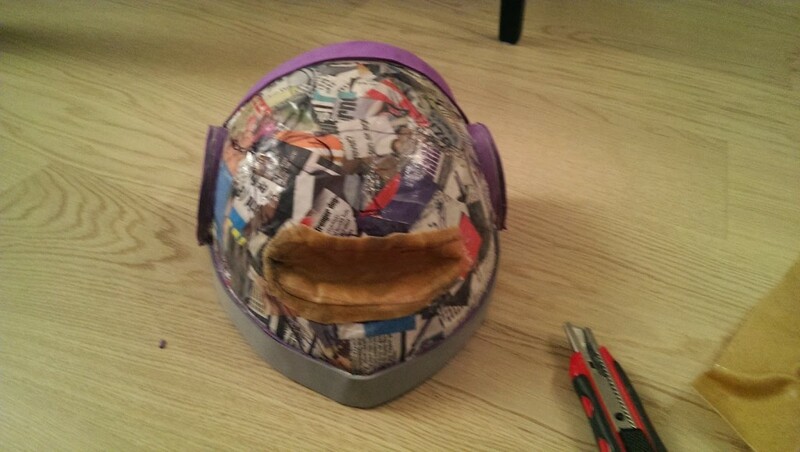 I started on the top and worked my way to the sides. 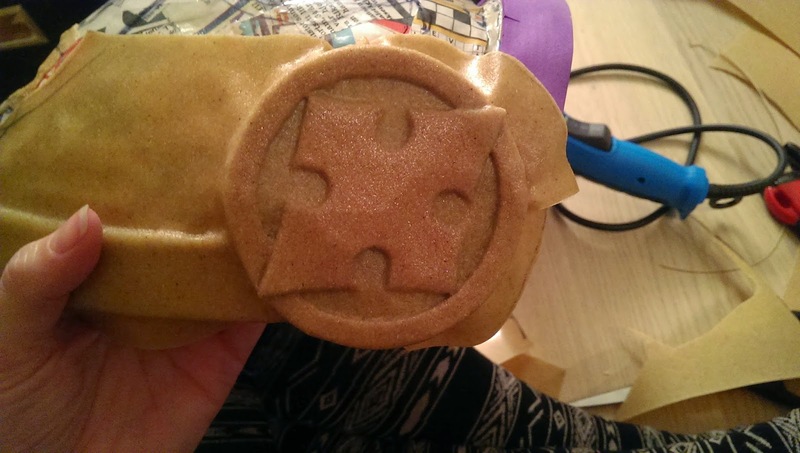 Thin strips of worbla was added along all edges to create dimensinon. 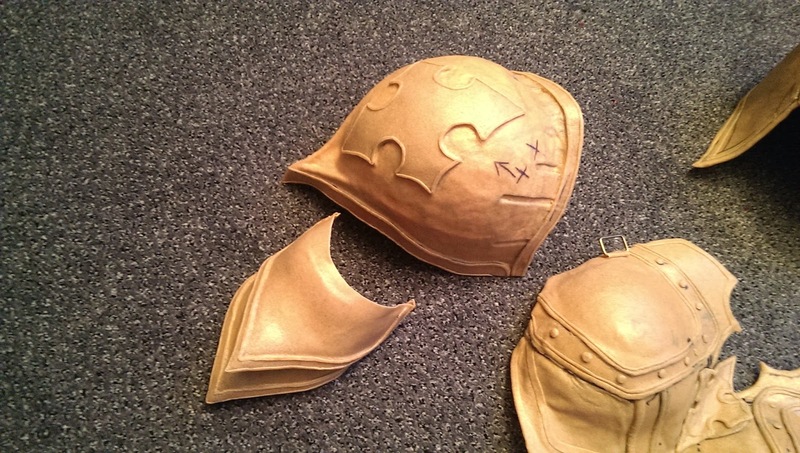 Under the pauldron there are a couple of smaller armor pieces which were made much like the leg armors, by covering foam with worbla and shaping ot over a ball. 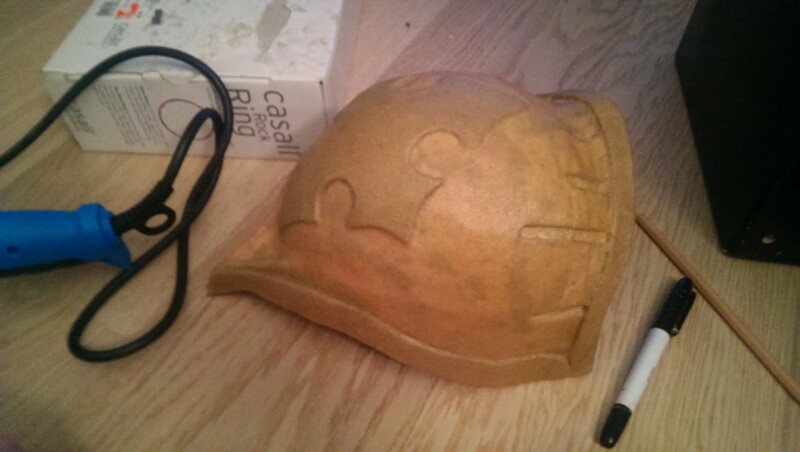 With the larger pauldron I had a little more touble to the the basic shape. 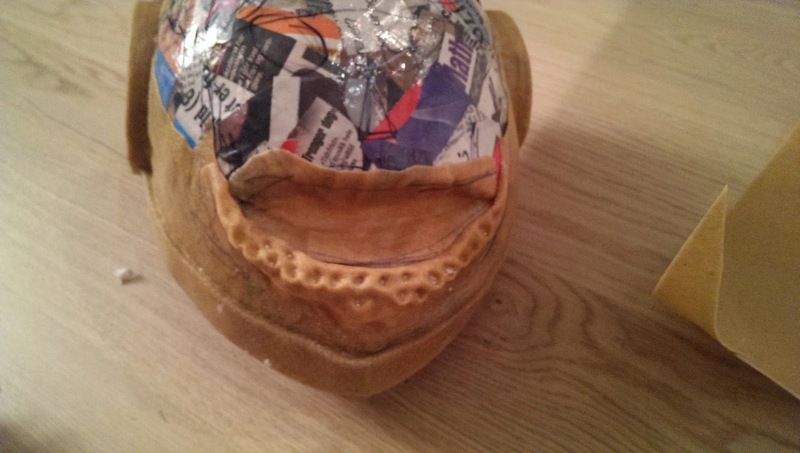 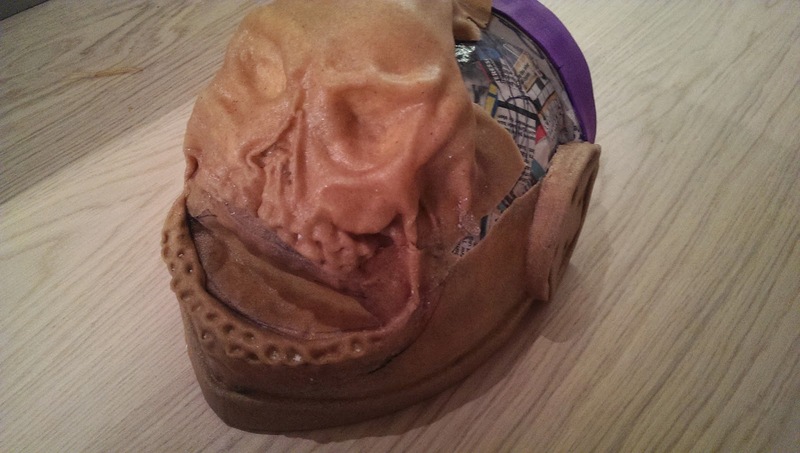 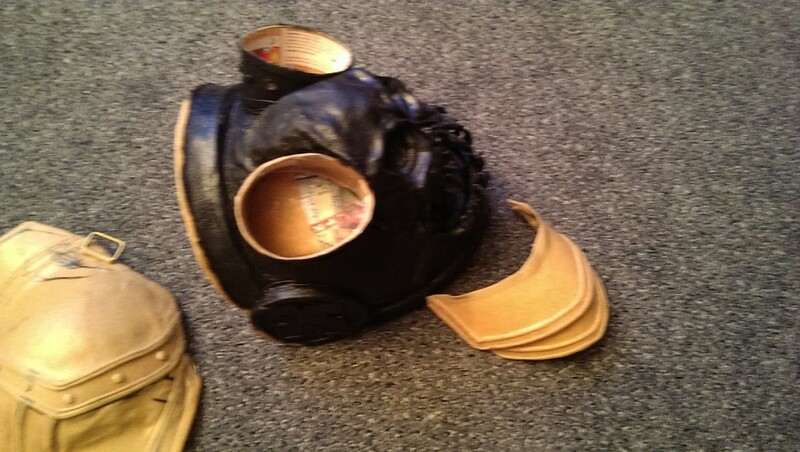 But same method by using paper mache over a balloon and adding foam details in layers was essentially used. 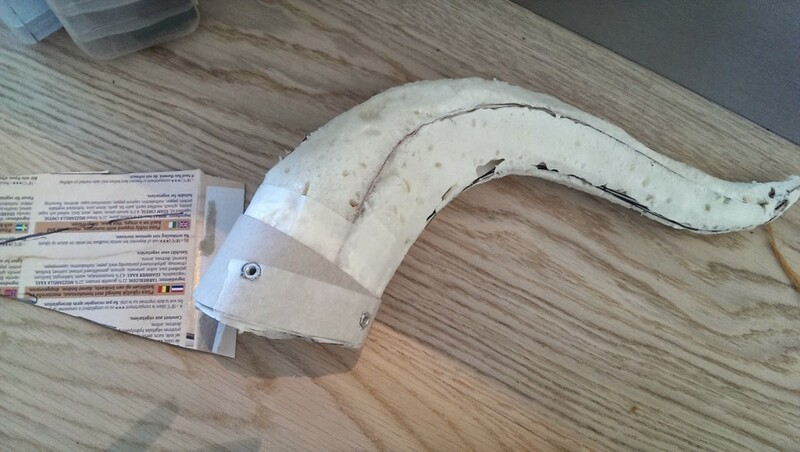 To get more depth to the mouth. 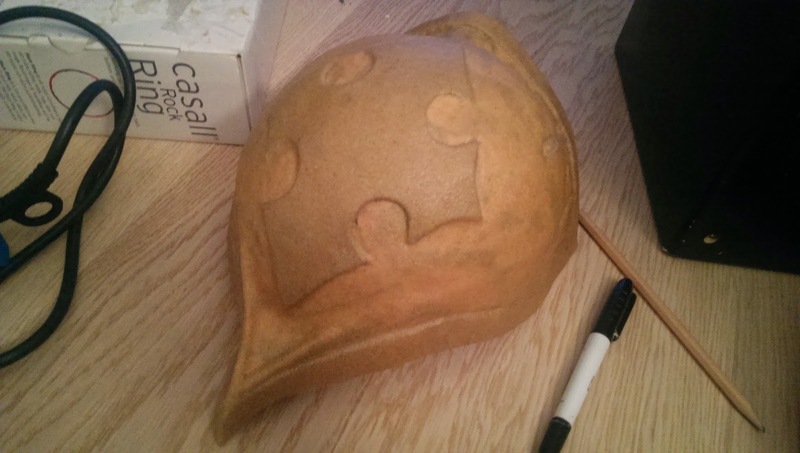 Starting to cover it with worbla. 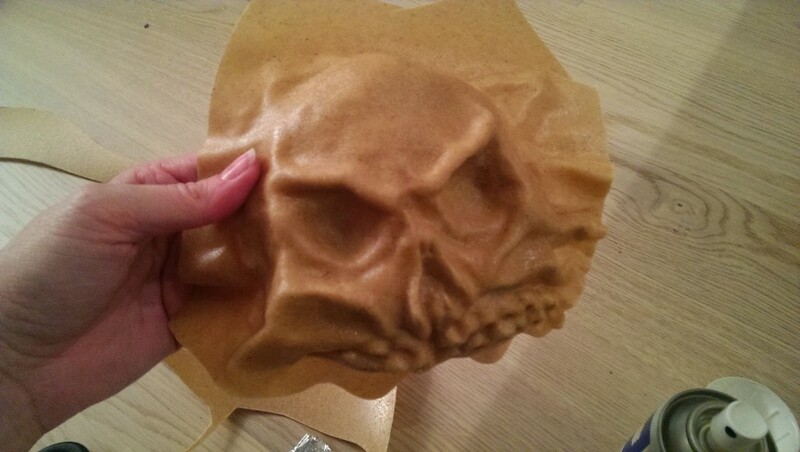 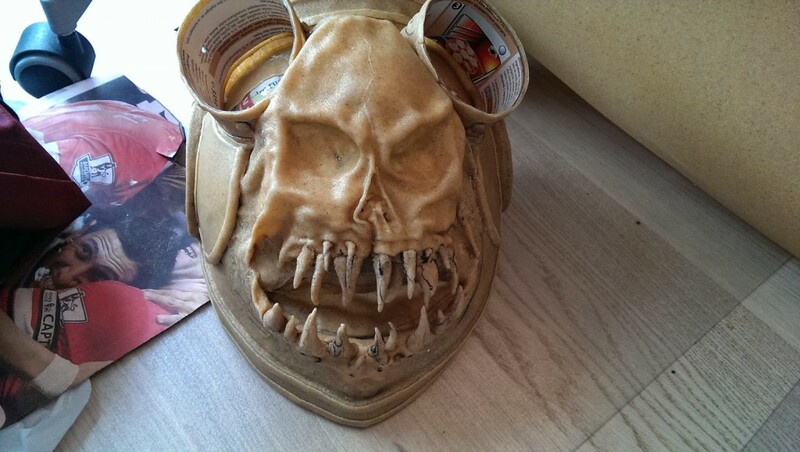 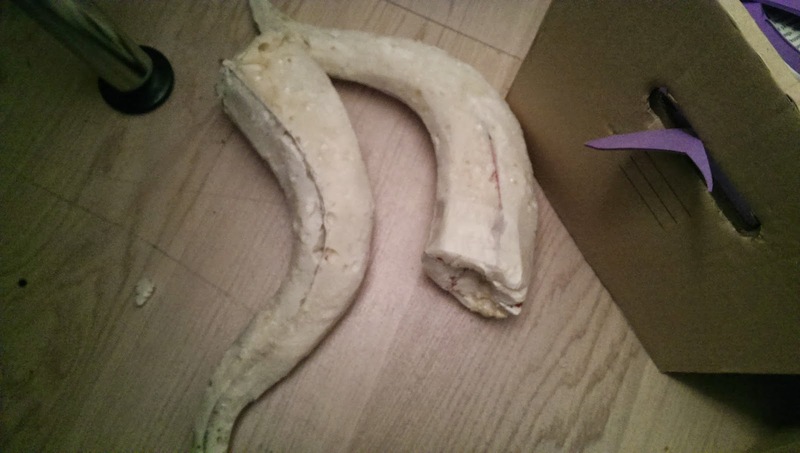 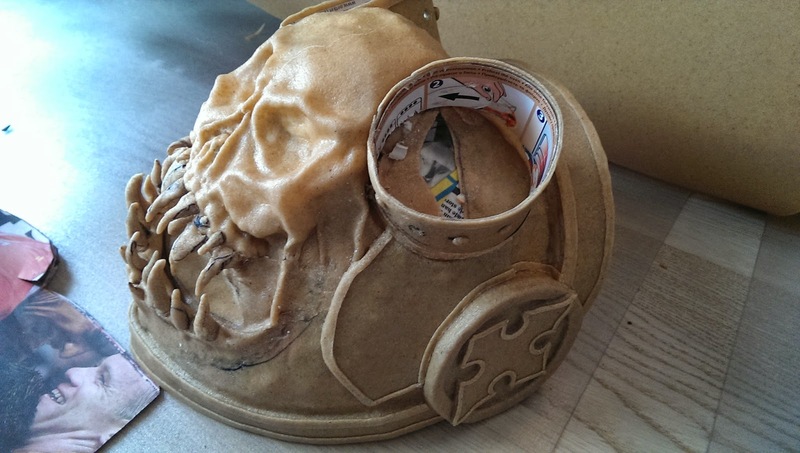 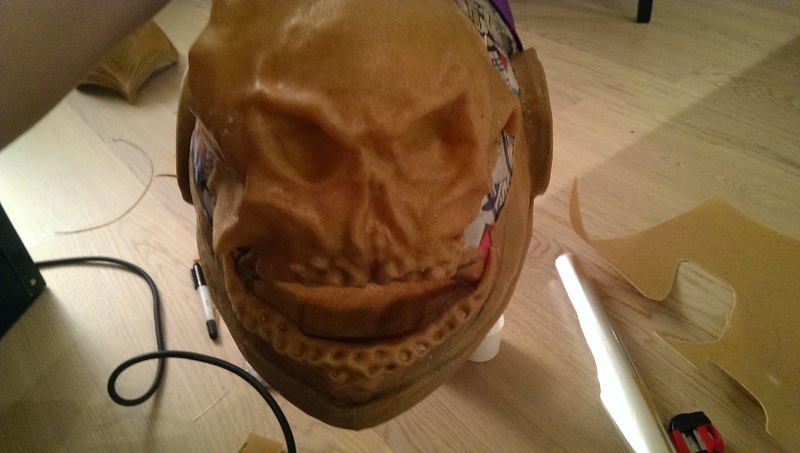 For the skull piece I first made the form out of clay, then used that as a mold to shape the worbla, so I would end up with a light weight shell. 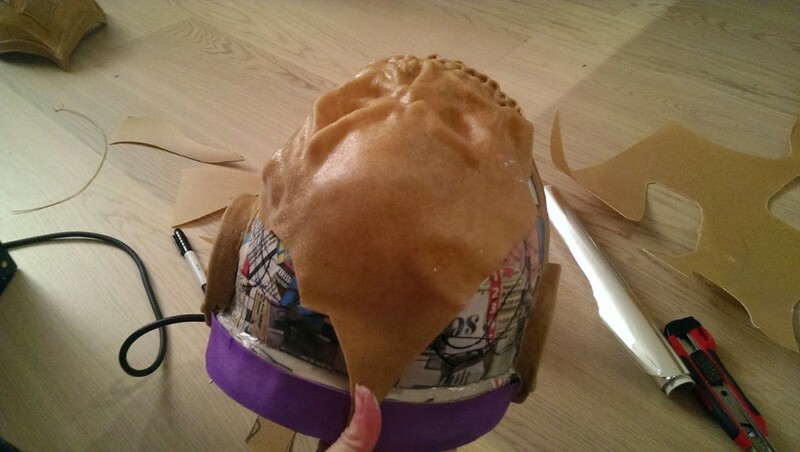 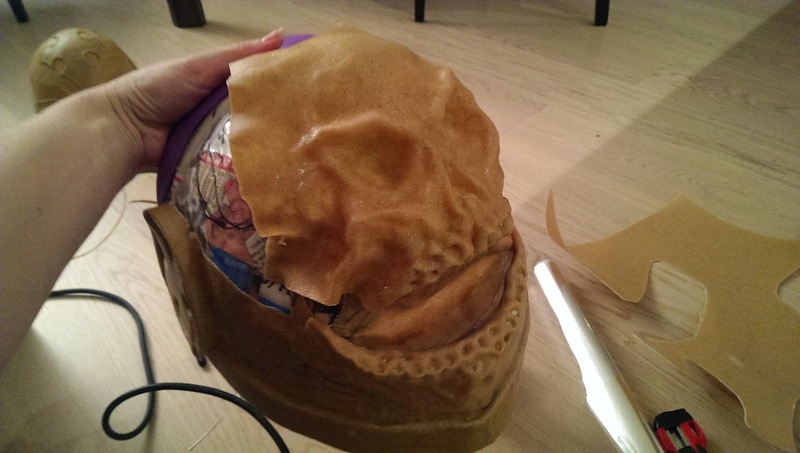 I filled the space with tin foil to help keet the shape up while I added the rest of the worbla. 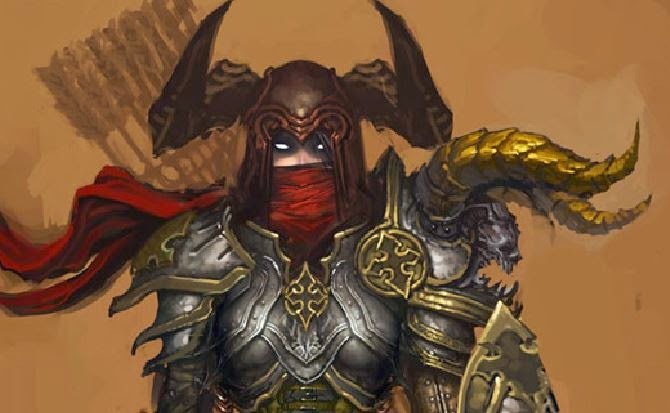 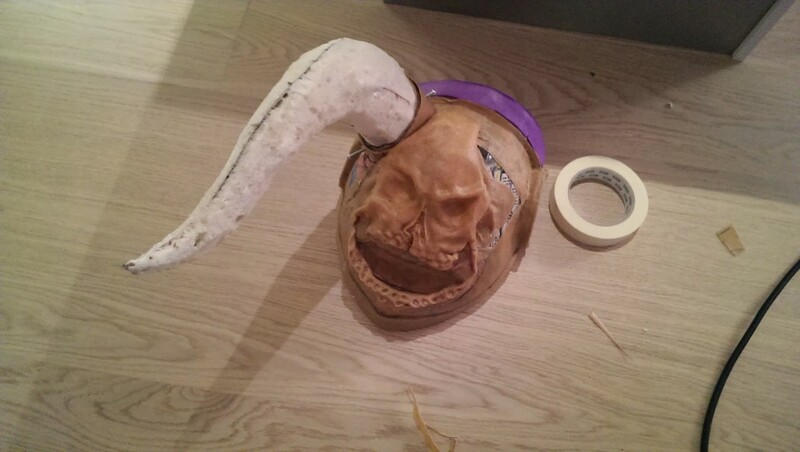 Before we move on with the skull details we need some horns. I build a basic grid out of cardboard. 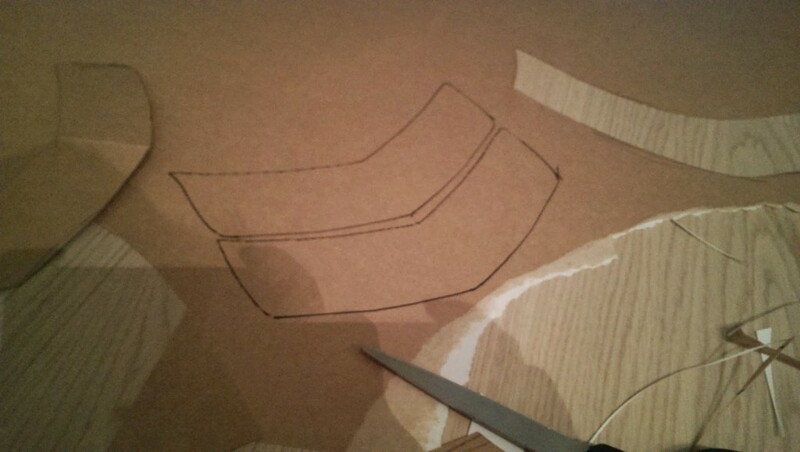 And carved out the shapes. 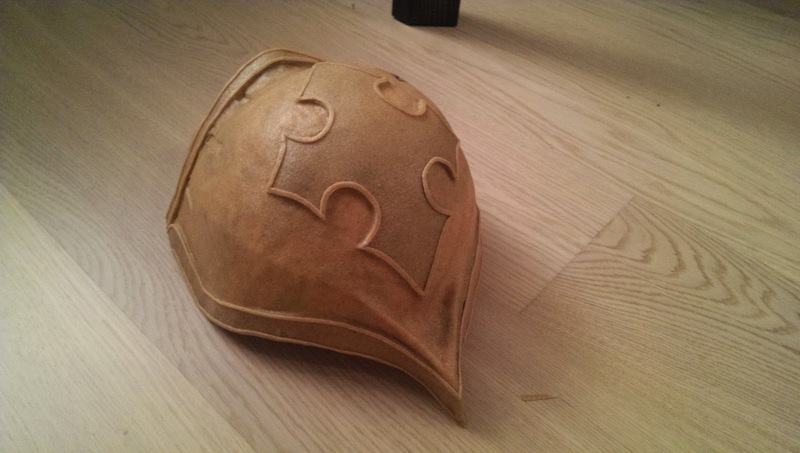 To be able to get the horns off the pauldron when needed, I added bolts to the horn base. 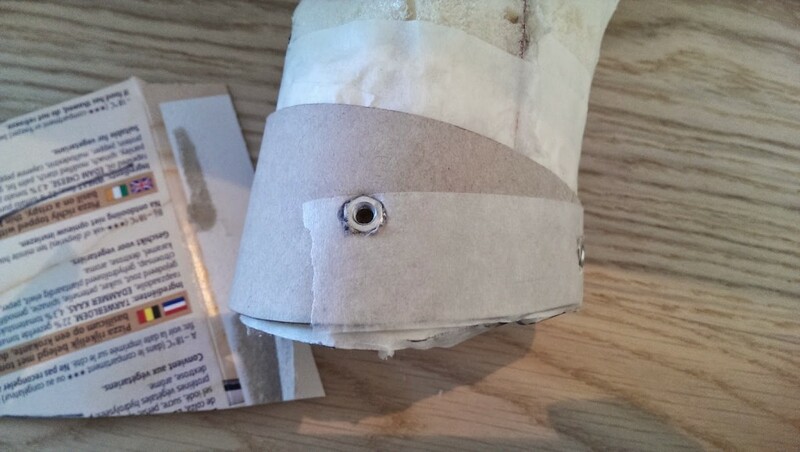 Then I could screw them in place when needed. 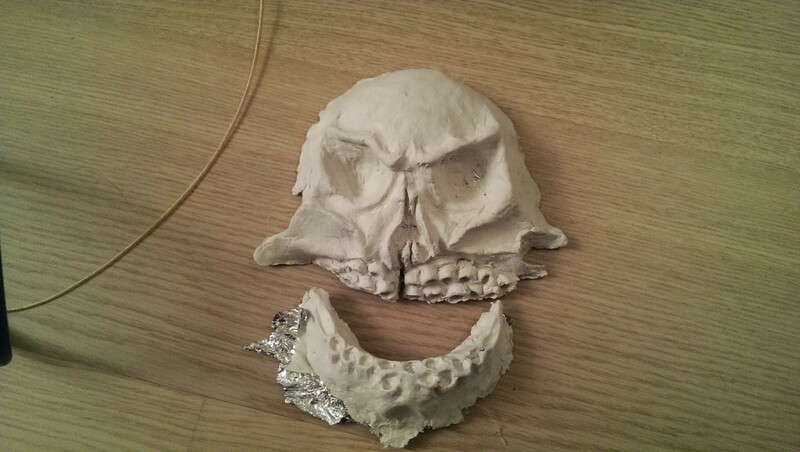 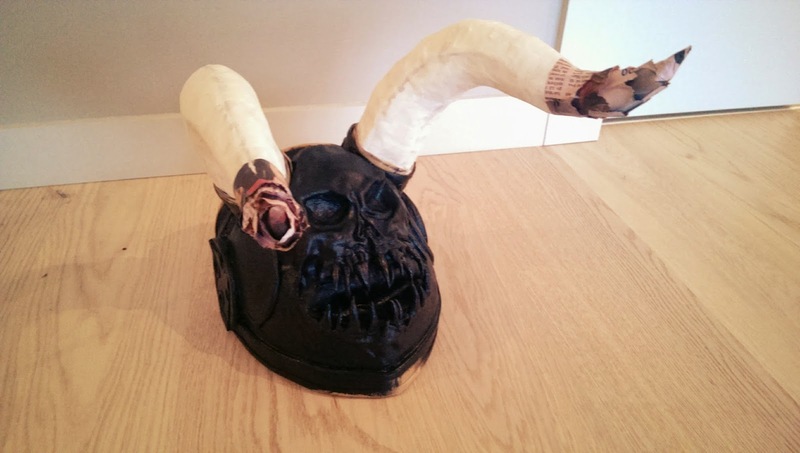 I used all my small left over pieces of worbla for teeth. 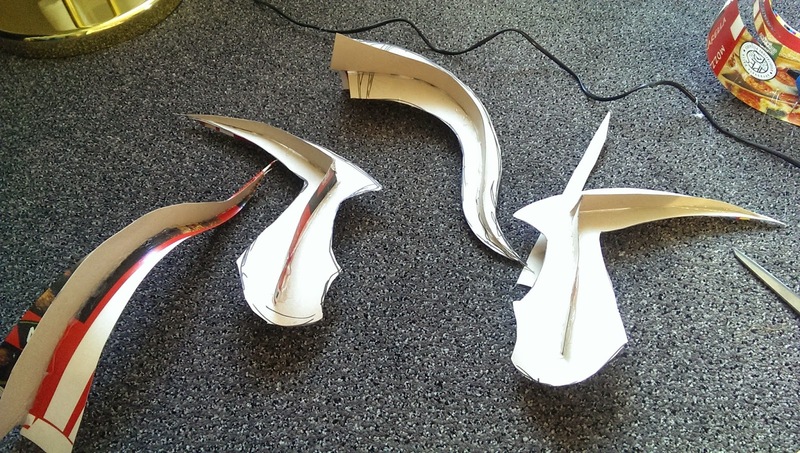 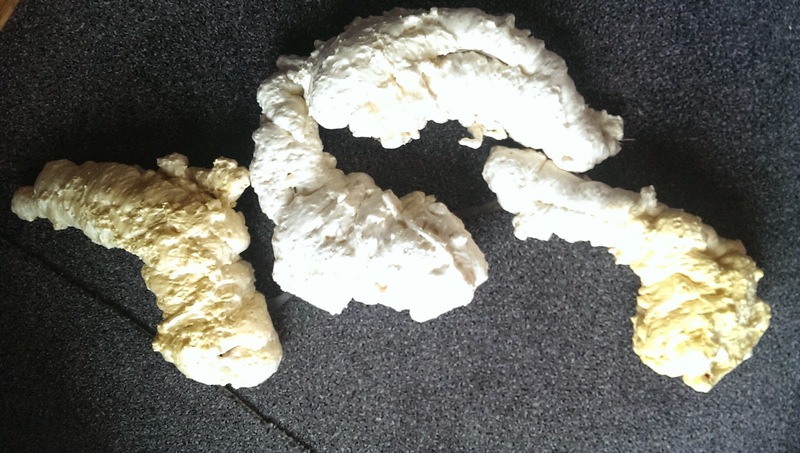 The pieces were heated and shaped. 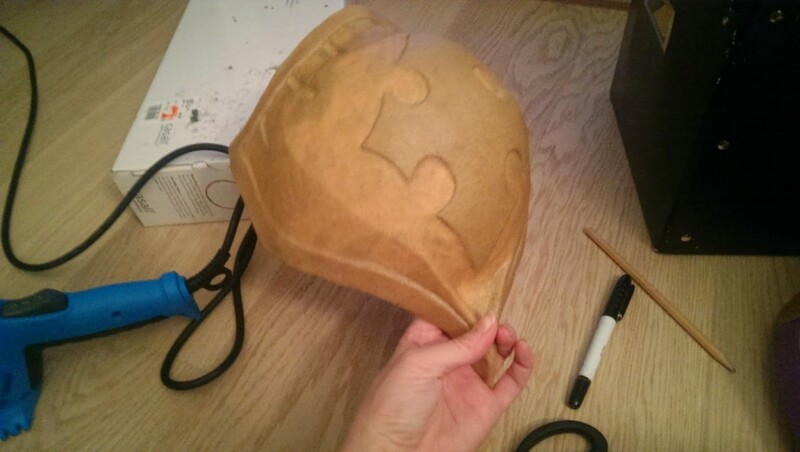 Priming with gesso and glue, since I needed to get this peice pretty smooth. 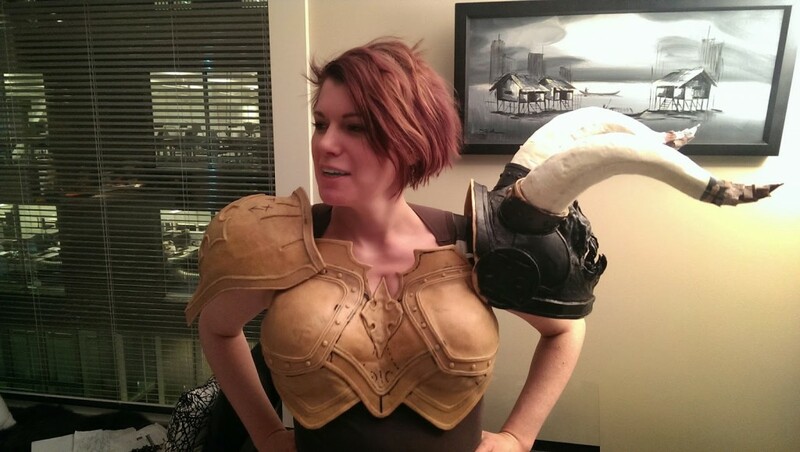 More testing with the chest piece I made earlier. 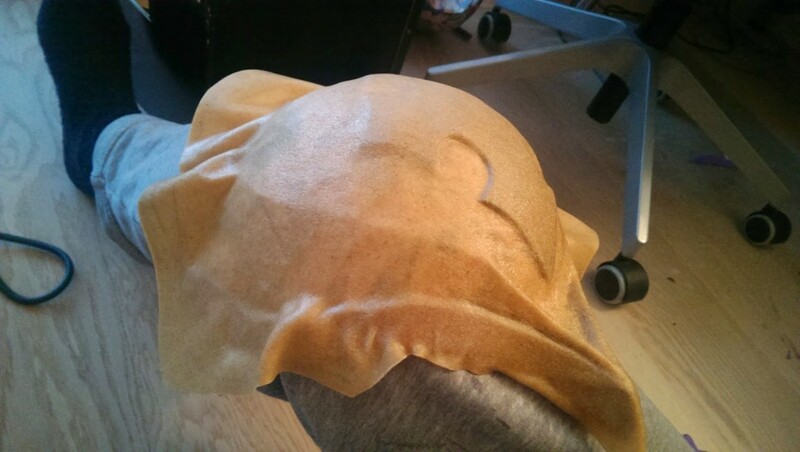 I needed a small piece under this shoulder also. 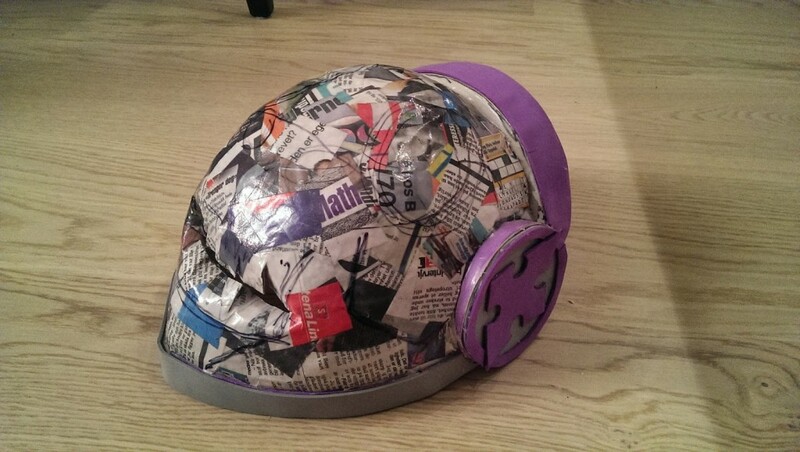 Painting will be covered in a seperate tutorial eventually. Until then, enjoy the full effect of these enormous shoulders, I have to go sideways though the doors in our apartment.